You can be a Mysterious Model. Share your best modeling image via Instagram and you could win free Mysterious products and help promote our brand. 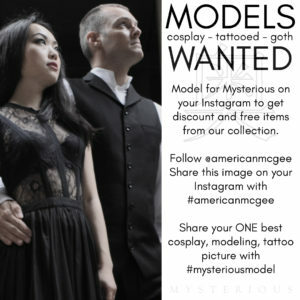 We’ll announce winners via @americanmcgee – Selected models will be provided with free Mysterious products to be featured in future Instagram posts.